Asparagus is a delicious and nutritious vegetable. It's a great source of fiber, folate, vitamins A, C, E, and K. It's full of antioxidants which are great for the body. This spring vegetable should be a part of any healthy diet. No one likes to cook after a long hard day at work but the microwave makes fast and easy work of cooking asparagus. 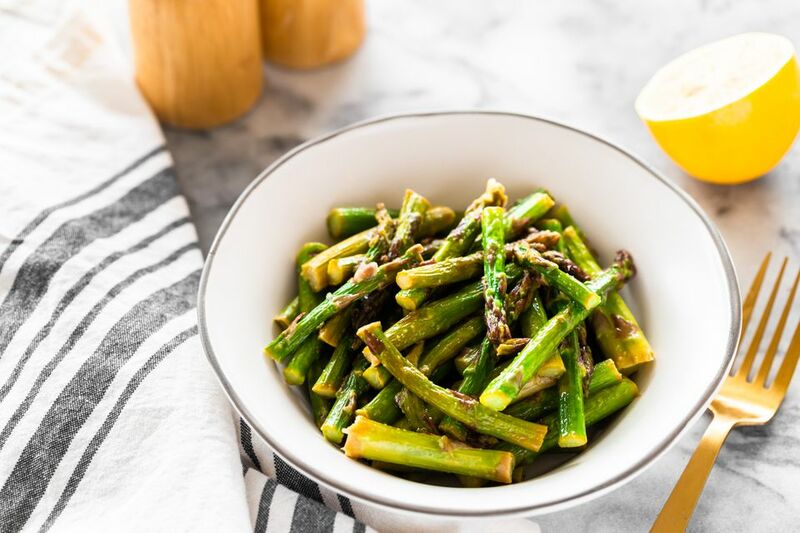 A bit of onion, garlic, lemon juice, and butter enhance the natural flavor of asparagus. This recipe will give you a quick healthy side dish that's super easy to make. Clean up is a breeze when all you need is a microwave. Trim tough root ends from asparagus spears, then cut into 2-inch lengths. Place in a microwave-safe bowl with a lid. Sprinkle asparagus with kosher salt, onion powder, and garlic powder. Pour in lemon juice and dot with butter. Cover with lid and microwave on high power for 2 to 3 minutes. Cook another 2 to 3 minutes until asparagus is tender. Stir once more before serving.